At Resolve Attorney Mediators of Rochester, New York, we want you to fully understand what to expect through the mediation process. Our attorney-mediators provide transparent guidance to help you make informed decisions. Mediation is designed to be a more cooperative, less stressful alternative to traditional divorce — one where you can have your voice heard in a confidential setting. In contrast to the stark and intimidating setting of a courtroom, at our practice, we cultivate a calming atmosphere that’s conducive to productive discussions. Our goal is for you to feel comfortable and confident throughout the process. We designed our office with that in mind. 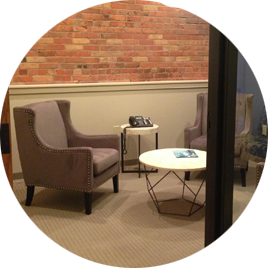 Located in a renovated carriage house in the historic East Avenue District of Rochester, we offer a welcoming environment for fostering positive resolutions. During the mediation sessions that follow, we will methodically work through all the legal issues that accompany your unique situation. Should roadblocks arise in discussing tough issues, our attorney-mediators will use problem-solving strategies to move toward resolution. We offer convenient meeting times, including evenings and weekends, to fit your schedule. Once you have ironed out all the issues in your divorce, separation or custody case, the final step is preparing a draft agreement that will solidify what you have decided. At this point in the process, we encourage clients to seek a brief review of the agreement from an independent attorney. Our lawyers can also assist you with preparing and filing the final divorce paperwork, including qualified domestic relations orders, quitclaim deeds and other necessary documents. Learn more about the mediation process by calling our office at 585-256-2109. You can also contact us online. We look forward to discussing your options and equipping you to make informed decisions on how to move forward.